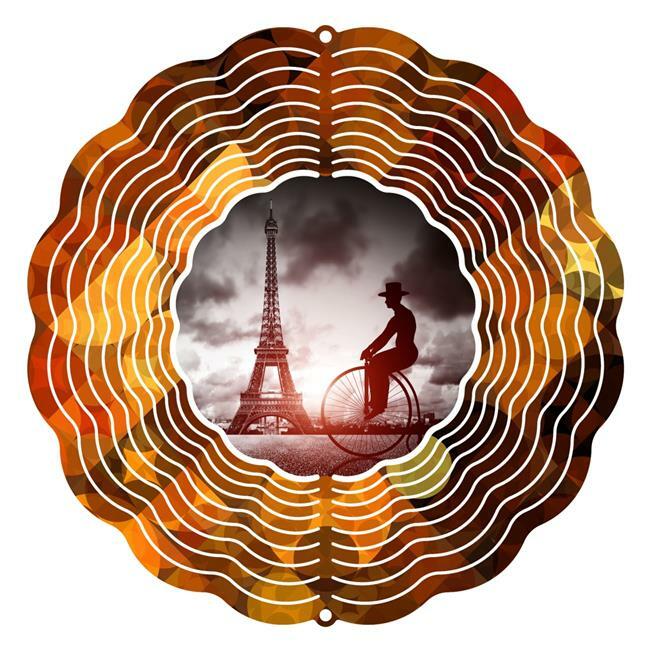 Our 10 inch Paris Vintage Wind Spinner is a great way to spruce up any yard. Measuring 10 inches in diameter and featuring a lively design, this piece is made to fit almost anywhere in almost any yard. Made of powder coated American steel, this piece is just what you want in a piece of outdoor yard art.